The Green Mandarin Dragonet also known as the Striped Mandarinfish, Mandarin Dragonet or Green Mandarin Goby. The Green Mandarin Dragonet is what many people believe to be the most beautiful fish you can get for your aquarium, this make it a very popular fish in the hobby. It has a green scaleless body and unique patterns of blue, red, orange and green in a swirly pattern. Males may be distinguished from females by their more-elongated first dorsal spine. 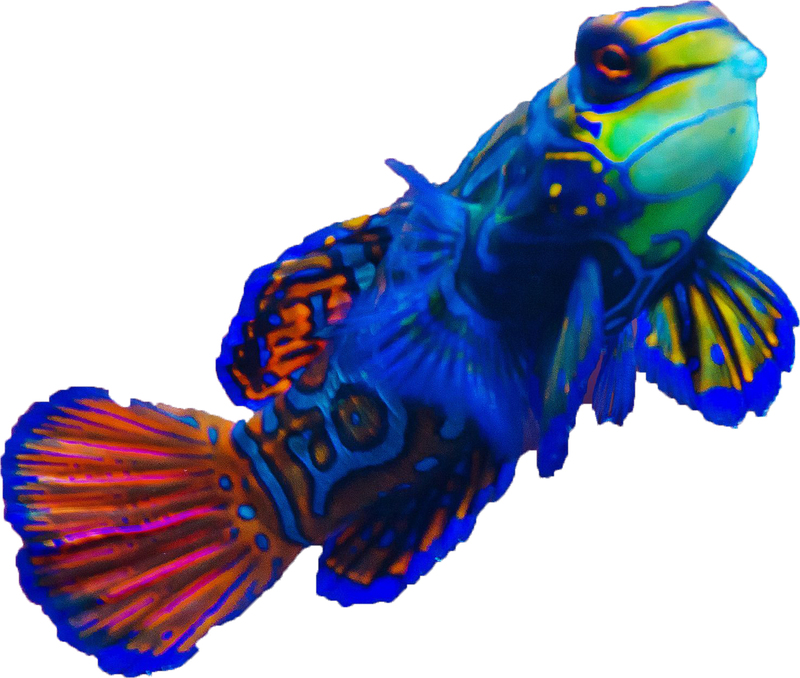 To be successful with the Green Mandarin Dragonet requires a very well-established 30 gallon or larger aquarium with plenty of live rock and a sandy substrate. The aquarium should also have a good population of amphipods and copepods. The Green Mandarin Dragonet is relatively hardy in a system that provides the necessary food, as they are sometimes very picky eaters and will only eat live amphipods and copepods.